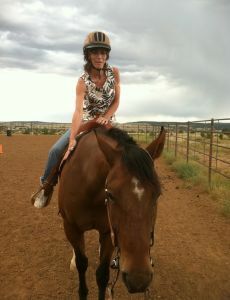 Whispering Spirit Ranch offers sessions that focus on a broad range and combination of disabilities. These sessions fall under the general term "therapeutic riding" but each session is a sophisticated program developed to address the needs of that small group or individual learning skills. Horsemanship sessions help clients acquire and refine riding skills at the Center's highest level. Physical benefits of riding, clients improve judgment skills, social interaction, coordination, motor planning, self confidence and self-esteem, and a greater sense of independence. The organized movement of the horse is an effective treatment strategy used to improve function in patients with neuromusculoskeletal dysfunction. Licensed therapists or speech-language pathologist with specialized training in the principles of hippotherapy and horsemanship are responsible for directing the treatment team during a session using hippotherapy as a treatment strategy. Equine Assisted Therapy, used by a medical professional, is part of a comprehensive treatment plan that integrates gains into functional activities. Horses used in Equine Assisted Therapy have quality of movement, appropriate temperament, ongoing specialized training and care taken into consideration for safety of everyone involved. All horses and animals are treated humanely at all times. While these activities are their jobs, animals are provided quality time off, health care, breaks for personal care and nutrition and personalized body work. At any time an animal does not appear ready for work on any given day, we respect the needs of the animals. Therefore, we have many animals/horses available for various purposes. Clinicians providing Equine Assisted Therapy maintain a high level of professional competence by participation in related continuing education activities. They follow the standards of practice and code of ethics for their discipline. Certifications and licenses are individually maintained in addition to regular onsite safety and inservice sessions. Hippotherapy is a physical, occupational, or speech and language therapy treatment strategy that utilizes equine movement. The term Hippotherapy was inherited by therapists in North America from colleagues in Europe who have used the term since the early 1960's. Internationally, hippotherapy means "treatment with the help of the horse" and is derived from the Greek word "hippo", meaning horse. The term was created to distinguish the medical or rehabilitative use of the movement of the horse from other equine activities which emphasize applications for education, recreation or sport riding for the disabled. Use of a horse's movement is a treatment strategy utilized by physical, occupational and speech-language therapists. This type of treatment is a recognized medical treatment strategy used to treat impairments, functional limitations, and individuals with disabilities experiencing neuromuscular dysfunctions and developmental delays. A hippotherapy session may require a carefully trained team consisting of: patient, therapist, horse expert, horse and sidewalkers. Hippotherapy is often an efficient speech and language treatment tool for many individuals who experience difficulty correctly interpreting daily sensory information. Many clients who benefit from this type of intervention, frequently experience difficulty with attention and concentration, organization, self-control, emotional regulation, behavior modification, motor planning, and muscle tone deficits. Various clients experiencing difficulty attending and participating in traditional speech and language clinical treatments, find speech and language hippotherapy intensely pleasing. Children exhibiting behavior difficulties have often been observed to immediately eliminate those behaviors once mounted. 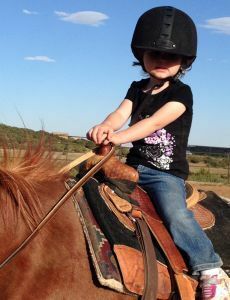 Parents report a decrease in poor behavior and much more balanced sensory adjustments following the hippotherapy treatment sessions. The participant's self-confidence and well-being is lifted yielding greater cooperation and attention during their therapy sessions. Speech and Language functioning cannot be separated from the rest of human structure and function. Efficient speech production and language use is dependent upon the integrity of the overall human physiology. Speech production requires postural control. Head and neck control is necessary to support the oral-motor mechanism. Respiratory support is necessary for sustained airflow allowing phonation of speech sounds. Normal muscle tone and motor planning occurs in order to create and sequence speech sounds into meaningful units. Intact fine motor control impacts the quality of speech sounds produced. A well-integrated tactile and proprioceptive system influences accuracy and regularity of speech sound production. Efficient language organization is connected to normal arousal and a well-integrated system. Receptive and expressive language requires functional arousal/attention, sensory feedback loops, perceptual accuracy and decoding, information processing/retrieval, conceptual symbolic knowledge, and communication need and intent. Hippotherapy is multifaceted and affects multiple human systems. The equine movement influences the sensory system by providing highly organized sensory input to the vestibular, proprioceptive, tactile and visual system. The motor system is influenced by symmetrical input helping increase core stability, and timing of movement. The musculoskeletal system impacts movement of the pelvis/spine in a multidimensional pattern. The nervous system yields influence over arousal states for attention, interaction, learning and postural control. The respiratory system is influenced to assist with optimal function for respiration and circulatory function. The equine movement offers the speech language pathologist a highly effective means of addressing speech and language disorders through the facilitation of the physiological system responsible for speech and language function. The speech therapist overlays traditional speech and language intervention activities during hippotherapy treatments, promoting speech and language function to that patient's best ability.